Jan. 21 marks the 50th anniversary of the start of the siege at the Khe Sanh Combat Base, during which the 26th ­Marine Regiment spent 77 days surrounded by thousands of North Vietnamese troops. The Marines came under intense artillery fire and much of their ammunition and other equipment was destroyed, so they had to be constantly resupplied by air. By the time the siege was broken, 205 U.S. troops had been killed and another 1,668 had been wounded. Up to 15,000 enemy troops are believed to have been killed. More than 1,600 enemy bodies were found along the base’s perimeter after the fighting. Jan. 31 is the 50th anniversary of the start of the battle for Hue city during the Tet Offensive. North Vietnamese troops and communist guerrillas captured most of the city at the start of the surprise offensive and Marines had to fight street-by-street and house-by-house to drive the enemy back. Initially, the U.S. limited artillery and airstrikes on Hue, so Marines used a tracked vehicle known as the Ontos for protection in the city’s narrow streets. 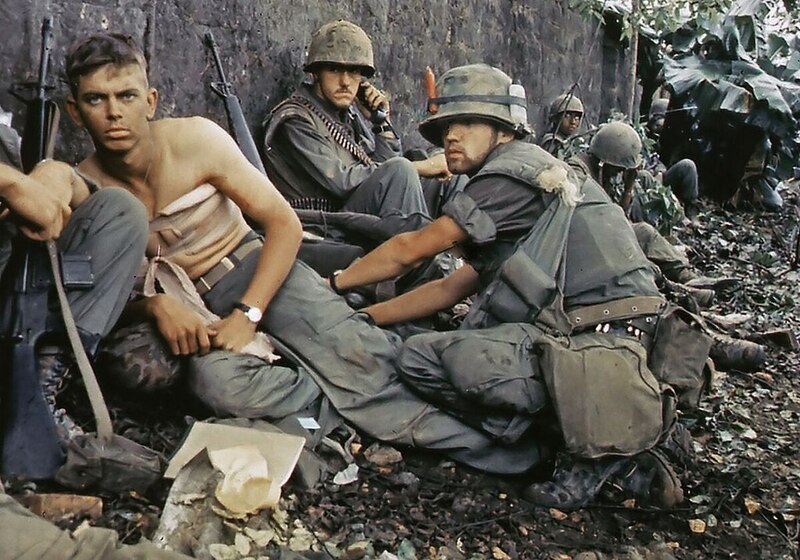 During three weeks of intense urban fighting, 142 Marines were killed and another 857 wounded. June 1 marks the 100th anniversary of one of the most famous battles Marines ever fought in: Belleau Wood. In March 1918, the Germans launched their last offensive of World War I in a last-ditch attempt to defeat the Allies before enough American troops arrived in ­Europe to turn the tide decisively against them. That June, the 4th Marine ­Brigade spent 20 days fighting entrenched German troops to secure Belleau Wood, suffering more than 4,000 casualties in the process. The Marines were allegedly called “Devil Dogs” by German troops, and the term ­became a nickname that lasts to the present day. The battlefield itself was renamed “Woods of the Marine Brigade” by the French 6th Army. Nov. 20 is the 75th anniversary of the Second World War’s battle of Tarawa atoll, which marked the beginning of the U.S. offensive in the Central Pacific. The main target was a Betio Island, a Japanese stronghold about 4,000 yards in length and 800 yards wide. A Japanese commander boasted that it would take one million Americans 100 years to take the island, but 18,000 Marines captured the island in 76 hours. The battle provided costly lessons on amphibious warfare. Landing craft became stuck on a reef hundreds of yards from shore, so Marines had to wade or swim to the beach under fire, taking heavy losses. By battle’s end, more than 1,600 U.S. troops had been killed.